So you have an idea for an app and you’d like to know how much it will cost to build it? Well, sometimes this can be like asking how long is a piece of string. Either way, for you to know as much about your idea as possible, and ideally have a specification document to go along with it helps everyone. A spec can sometimes be a difficult thing to put together, so see below for some of the most important things we would need to know before providing a quote. Knowing exactly what you hope your app will do is important. Does it solve a practical problem? Does it have a Unique Selling Point? Not only will listing your aims for the project help us understand your app, it will help you to consolidate your idea and inform the rest of the function. If you have done any market research for the project, it would be good to attach your findings along with your aims. Who is it for? It seems obvious but knowing who your app is aimed at will also help inform many other decisions that you’ll have to make and help us know what the user experience should be. If it’s aimed at children the graphic design will differ and the buttons might be bigger for example. Do you want your app to be available on? In our experience, most people develop for Android & iOS. Knowing which operating systems (OS) you want your app to be available on will be one of the biggest things effecting your price so it’s something you should think carefully about. Remember, creating an app for iOS and Android is like asking for the same essay but one in French and one in Chinese. It might be the same thing, but it takes two completely different disciplines to create. Each OS has a different development language and can therefore double the cost of your app. Are you working to a deadline? Are you working with partners who also have deadlines? Try and give as detailed breakdown of activity and dates as you can. This is key. If you can, write the description that would appear on the app store when the app is complete. This should force you to describe what your app does in a clear and concise way. Unless you are a designer it is best to leave the work of defining the actual user interface and experience design to your chosen mobile agency. However until the app is defined in full detail it will be hard to get a precise quote. Often the first stage of any development will be defining a wireframe which will include all of the screens and the interactions a user has with the app. Have a think about additional features and indicate whether they are essential or would be nice to have as they can make a big difference to the estimated cost. – Push notifications. Will it send out reminders etc? – Geolocation – does it know where you are/show you where to go? – Social Integration – does it share to facebook etc? – Money Model. Will people pay for your app? Will there be in app purchases? – Do people give ratings or reviews to things? Take a look at our apps page for some ideas of how these features could work in your app. Most mobile agencies will have in house graphic designers who are well-practised at designing for mobile. It’s usually easier to use them as it negates back and forth and they will know what design works best. Providing design guidelines that outline colours, fonts etc and how they should be used at the outset will help make the process run smoothly. Many people think once the app is on the app stores, the job’s a good’un. However, this is far from true. Why? Read on. After a while your app will no doubt start to receive reviews and ratings. You should value your customers, listen to what they have to say and respond accordingly. As long as your app is in the app store, you could be getting reviews which need a response. This is an ongoing element that many people seem to neglect and one that, if goes unaddressed, could devalue all your hard work. Could you run a poll on your website and offer a few potential upgrades for people to vote on? Remember, mobile is an ever changing landscape. iOS and Android update their operating systems most years and your app needs to change with them to make the most out of new features, hardware and designs – and new ideas you come up with! More fundamental than that, with every update comes the risk that your app will simply break. An immortal app is just impossible and no one can predict what update will cause it to break. This is why you need constant eyes on your app to ensure it’s still working at the very least. Furthermore, you will not know how people are using your app unless you look properly at the analytics. Just glancing at your download figures every month isn’t analytics. You know that really important button you built that has a great function? Maybe no one is pressing it. Analytics will tell you this, and much like responding to customer reviews you should fix it. 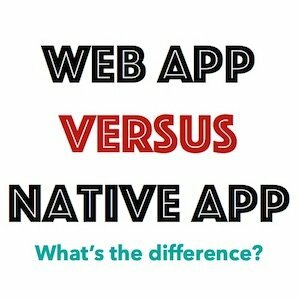 Not only will writing this document help you to realise what your app is/could be, it will demonstrate your capability to a developer and show them that you are probably going to be a good person to work with. It’s worth noting however, that it’s best to use your spec as an aid document, rather than an iron clad plan. It’s likely many things about your app will change in the early days and your chosen agency will inform you and help you with those decisions. If you would like to speak to us about developing an app, or its specification, then please contact us.